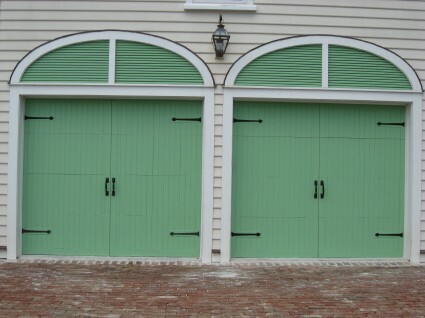 This beautiful double garage door in Charleston, South Carolina, is decorated with Lynn Cove decorative hardware. Double the hardware means double the fun! Each door contains two Square Pull Handles and two pairs of 19″ Aspen Decorative Hinge Front.